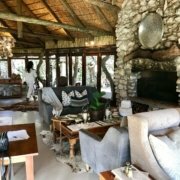 It’s been 1 year, and 4 months since we left the concrete jungle of NYC for the experience of living abroad in the bohemian paradise of Cape Town, South Africa. As my husband and I cooly ease into our 2nd year abroad, confident and sure of ourselves in this foreign city (so long google maps! we’ve got it down!) we are once again thrown into the great unknown. This time, it’s on the ultimate adventure: we’re pregnant (as in I am, I don’t know why I said “we”, I hate when couples do that when we all know whose about to have six mood swings in one hour, and inhale pizza like it’s air). This September 2019, a little baby boy joins us. The excitement is overwhelming! As are the hormones. It’s often hard to believe it’s real, but I suppose everyone feels that way in the beginning. In the midst of scarfing grilled cheeses and laying on the couch nauseous and lethargic the last 3 months, I began thinking of what an amazing journey this past year has been. 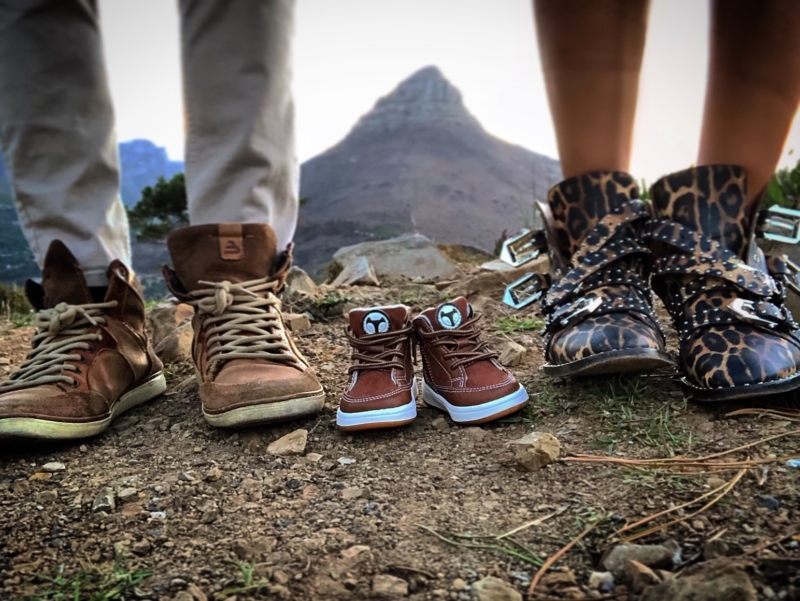 We found out we were pregnant exactly on our 1 year anniversary of moving to Cape Town. Literally to the day and almost to the hour! It’s what we wanted, but I didn’t think it would happen so precisely. I think Cape Town is giving us good energy- I’m a big believer in “signs” so I take this as a good omen that our first child will be born in the country that has given us the wildest ride of our lives. PEOPLE: There’s so much I love about Cape Town but first, let’s start with the people. Cape Towners are incredibly friendly. I’ve made an unusual amount of friends by just walking on our street. From the baristas, to the managers of restaurants, to the sales girl at the little kids boutique on the corner, anytime they see me pass, they pop out and say hello. It’s a very Belle in Beauty and the Beast moment for me (minus the song and dance). For someone that’s alone alot, it really warms my heart. The same sentiment also extend’s to our new friends we’ve made. Good girlfriends make all the difference! NEW EXPERIENCES DAILY: I am convinced that the most exciting thing in life is simply doing something or meeting someone new. 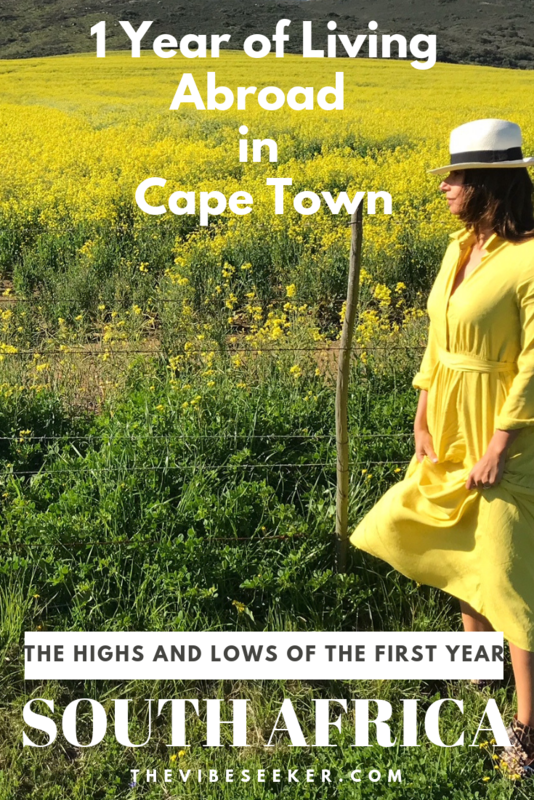 Although I’m quite familiarized with Cape Town now, I still stumble upon a new café with a delicious flat white or meet a new mommy friend at the local park, or even just drive on a new road we haven’t explored yet. It makes your basic day of errands feel much more alive and exciting. That newness is what keeps me excited about living here. I do occasionally wonder though when it will fade. Will it happen right as I feel local? FOOD: I attribute Cape Towners happiness to a few things: minimal working hours, excellent weather year round, and their high quality food. The locals here have a farm to table approach of eating (not unlike our home of California) but here, it is very easy to execute on with its affordable prices. Also with it’s clear ingredients tag displaying very few ingredients. All the shops produce have a shelf life of 2-3 days because there aren’t “extra” preservatives on it to make it last longer. The food is coming from nearby farmers (not China) so you know that it’s local, and fresh. It’s the same with the restaurants- often you will see tasting menus that offer mostly seasonal items. More importantly again, it’s not marked up at Whole Foods pricing so it’s affordable. Which brings me to my next point…. AFFORDABILITY: Everything is cheap. Okay, not everything and this is a bit relative, of course. You may be thinking we are “those Americans” who moved here comfortably so can afford things like eating out, wine farms, etc. But it’s actually affordable for most people. The average restaurant meal is $30-$35 and that includes a bottle of wine. Even after a year, it still takes my breath away that a fantastic glass of wine is $2- $3, or that a flight of 6 wines at an upscale wine farm (with heavy pours mind you) is $7, or most importantly a frothy flat white is under $2! At Starbucks, everything seems to begin at $5. After living in NYC, I am never at a loss of appreciation for this. BEAUTY: This city oozes beauty. 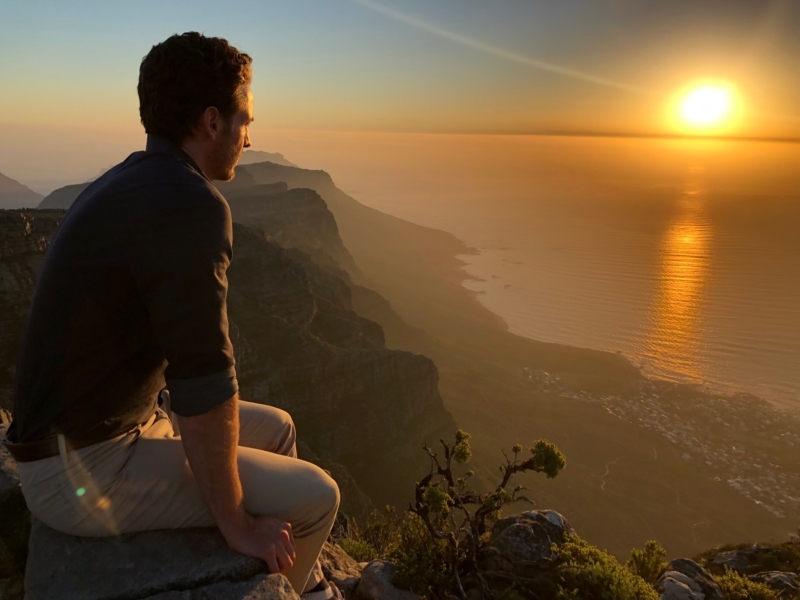 You can’t turn your head without taking in the majestic Table Mountain, or the bright blue Atlantic Ocean. Driving the coastal route in Cape Town is comparable to the Amalfi Coast in Italy, or the best parts of the PCH in California- except here mother’s nature beauty is everywhere rather than just sticking to one area of town. It’s in the city center, to the waterfront, spreading out to the beach towns. 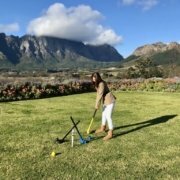 AFRICA TRAVEL: Last but certainly not least, my favorite part of living in Cape Town has been getting out of Cape Town. There are truly no words to describe traveling through Africa. Some would use magical, peaceful, exhilarating or even life changing. 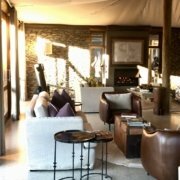 I can only tell you that once you witness the migration in the Serengeti, or enjoy a sundowner in the bush amongst lions and elephants, or roll down the bright orange sand dunes of Namibia, there are few experiences elsewhere that will top that. Recently, my brother visited us and he’s quite well traveled and he praised Cape Town in the simplest way that I found really true. He said Cape Town is an amazing city because of three things: It’s “accessible, affordable and beautiful”. Simple. How many other cities are there that those 3 elements apply to? That’s not a rhetorical question, I’d genuinely love to know! I think most assume (including myself) that what I find most challenging of living abroad is being so far away from friends and family. And on some days, it is. But for the balance 90% of my time of living abroad what I have surprisingly found most challenging…is not working. IDENTITY CRISIS: When you don’t work (I’m on a spousal visa and it’s complicated here), an identity crisis emerges. It’s unfortunate that we are all so intertwined in what our job occupation says about us. If I’m not a practicing interior designer anymore, am I still a designer? Am I still an artist? If not, then what am I? Who am I? How do I find purpose in a new country? This can be incredibly anxiety producing. 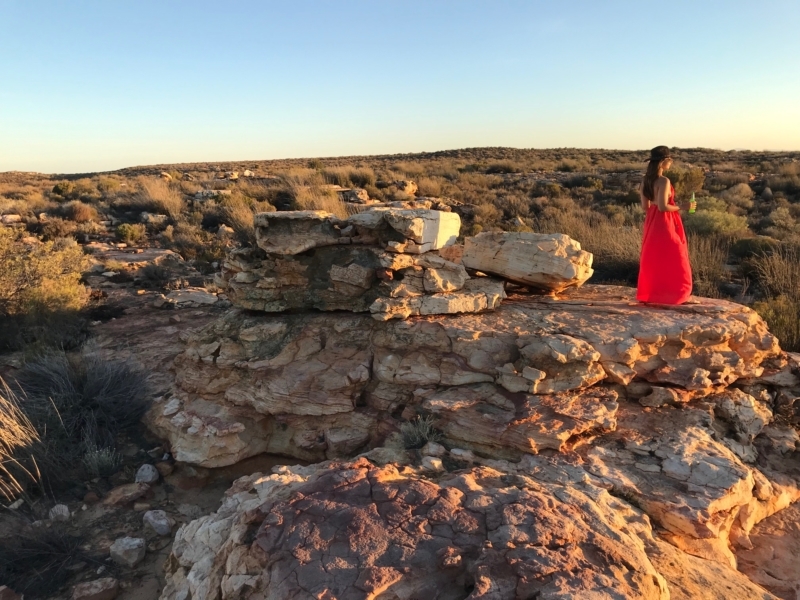 It is a challenge I am faced with daily that I try to tackle through various endeavors such as creating this blog and writing, doing my volunteer work, cooking native dishes, exploring my new continent, and now focusing on becoming a momma. It sounds like a lot on paper, but for a girl who likes to stay very busy, it’s never quite enough. Most of my mom friends say that will change when my baby arrives, but will it I wonder? Will I be okay just being a stay at home mom? FAMILY AND FRIENDS: Our thoughts are always with our family and friends. That’s we love it when they visit because it’s so exciting to get to share this unique experience with the people we love. Nevertheless, seeing my best friends back home get pregnant and have babies and not be able to be there for it is very hard. Likewise, missing weddings and other important events are all part of the expat’s experience that I don’t enjoy much. LACK OF A SPECIFIC CULTURE: This one is hard to explain. South Africa has 11 languages spoken. In Cape Town, the predominant ones are Xhosa, Afrikaans, and English. There isn’t one that dominates the atmosphere where I would absolutely need to learn to function, so speaking English is fine. 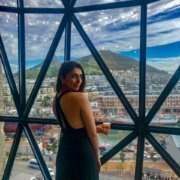 For cuisine, the food is very similar to Indian food (curries, spices, etc) and your bound to find a “Cape Malay Curry” on several menus, but for the most part, Cape Town is such a western city. The restaurants have mostly western dishes (there’s a million burger joints in this town). The culture of the people have a very modern point of view. All of this great, don’t get me wrong! It’s made moving here quite easy and seamless. But it’s not the same experience an expat may have say moving to Paris, where they must learn French to even order at their local cafe. I don’t “have” to learn anything. I think I would’ve preferred we did, but then again, that could have made the move 10 times harder. 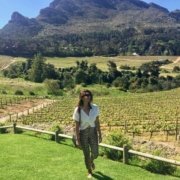 TERRIBLE ONLINE SHOPPING: Dear South Africa, you have beautiful natural fabrics, bold vibrant patterns and interesting designers who are incredibly innovative and unique. Buttt… not much beats a pretty little package from Net-a-Porter or Shopbop waiting for you on your doorstep with an easy return policy. Or better yet, not much beats AMAZON PRIME! I know it’s spoiled, but I am used to getting whatever I want within 24 hours on my doorstep, and if I don’t like it, I can return it no problem. Not to mention, the endless options I have in the first place! Again, I apologize for sounding so pathetic and materialistic, but trust me, once you’ve gone Amazon, you can’t go back. In short, I’d say I miss family, friends, and online shopping the most. But, am I willing to trade the above for a few years so we can have this spectacularly unique experience of living in new country? Yes! Do I still feel good about our decision of moving here? 100%. Am I still excited to be here? Absolutely!